The Humboldt County Elections Office has released its post-election update, which can be found here. The notables, other than Bergel's apparent come-from-behind victory, are the passage of Eureka City Schools' bond measure and the narrow failure of that of Jacoby Creek School District. 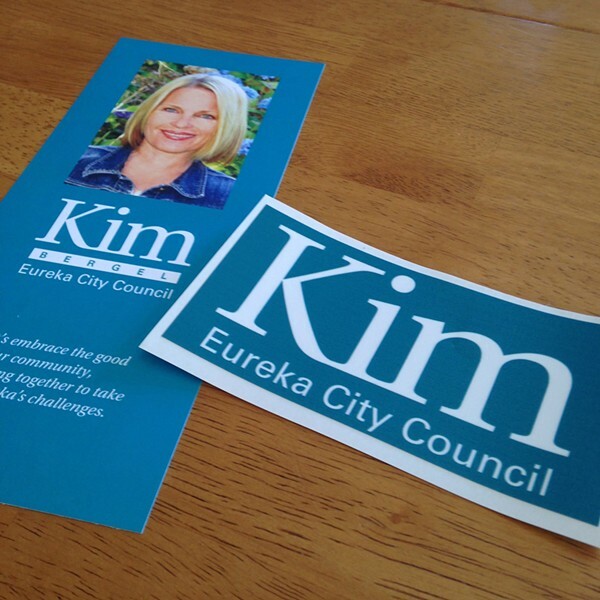 It looks like Eureka’s going to seat what’s believed to be the first all-female city council in its history, after Kim Bergel has pulled out an improbable upset of incumbent Ward 3 Councilman Mike Newman. Humboldt County Registrar of Voters Carolyn Crnich said the elections office is preparing to release a post-election update that shows Bergel — after finishing Election Day trailing Newman by 104 votes — now has a 46 vote lead. The results are not final, however, and Crnich said there is only a “slim” chance they change in any substantive way before they come before the Humboldt County Board of Supervisors for certification. Crnich said the current count has Newman with 3,313 votes to Bergel’s 3,359. After taking just 42.87 percent of the early vote-by-mail ballots and 54.13 percent of the Election Day vote, Bergel took 54.94 percent of the 1,398 ballots counted after Election Day. Final voter turnout for the county was 50.65 percent, Crnich said, with 51.64 percent of Eureka’s registered voters casting ballots. For more in depth look at the numbers in the Ward 3 race, and a glimpse at the historic feat of empanelling Eurkea’s first all-female council, check out prior Journal coverage here, here and here. The Journal will update this post when the updated results are released this afternoon.